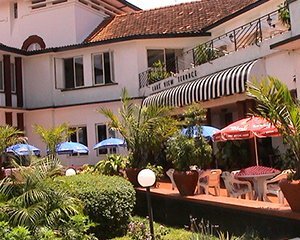 This landmark of a hotel, built in the old colonial style, boasts a beautiful view of Lake Victoria and a quiet and relaxing atmosphere. All rooms are en suite and have air conditioning and satellite television. The hotel serves both European and Indian cuisine and offers several dining options including a formal dining area, outside terrace, and a breakfast room. In addition, the hotel’s two bars and full size pool with its own bar and restaurant provide a perfect atmosphere for unwinding from international flights before heading off on safari. 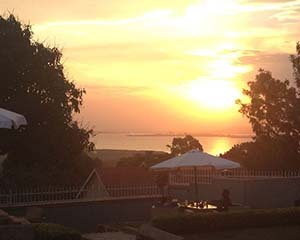 This Inn overlooks Entebbe’s 18 hole golf course and has a beautiful view of Lake Victoria. The hotel offers both en suite and shared accommodation and has a restaurant onsite serving both Ugandan and European cuisine. Golf View is walking distance from Entebbe’s main street. This modern hotel is situated near Entebbe’s Botanical Garden and overlooks beautiful Lake Victoria. Botanical Beach has an a la carte restaurant and a full bar onsite. A large garden provides guests with a relaxing place to unwind or enjoy a drink under the shade of the hotel’s many trees. The hotel also has a gym, sauna and indoor swimming pool. 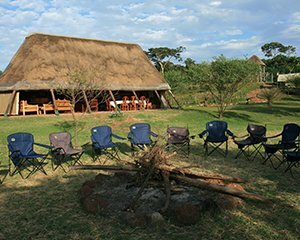 This tented camp, privately situated on Ngamba Island, offers four spacious and comfortable African style tents on platforms overlooking Lake Victoria and its many islands. 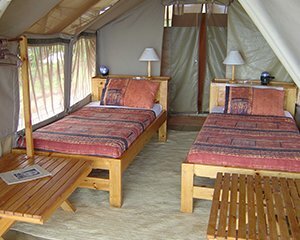 Each two person en suite tent has solar powered lighting and its own personal sitting area. All meals are prepared and served in either the relaxed outdoor garden or covered dining area. Multi course meals include local specialties such as fresh Tilapia from the lake and g-nut sauce. 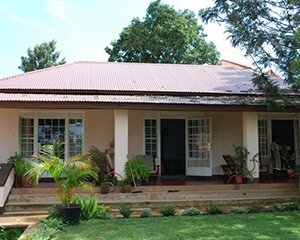 The Boma is a small, family run guest house located in the suburbs of Entebbe. A converted residential home, The Boma offers quiet, relaxed accommodation and a peaceful atmosphere. Each en suite room is uniquely decorated, with many having their own veranda. Gourmet meals are prepared upon request and guests can enjoy the welcoming bar area any time of day as well as the guest house’s large garden, private swimming pool and large patio boasting a beautiful view of Lake Victoria. Gately Inn offers nine superbly decorated deluxe rooms. 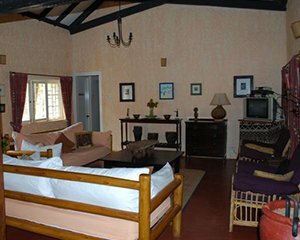 Rooms are spacious and airy and fitted with turbo electric standing fans, flat screen with remote control DSTV, high pressure solar heated showers and a safe for valuables. The Inn’s family room offers a step down bath for those wishing to relax after the long journey to Africa. The fully catered restaurant and bar offers a large menu including Thai, Indian, European and local cuisine. This luxury island resort is found on Bulago Island approximately 25km out from Kampala on Lake Victoria. It is a place of serenity with a moist natural forest close by, long sandy beach area and plenty of space for relaxing and enjoying the facilities. This resort is made up of six luxury spacious en suite chalets positioned very close to the lake shore. Activities available include walks around the island and to the pineapple gardens, boat trips on the lake for sports fishing and visiting the near by Ngamba Island Chimpanzee Sanctuary. This is a budget guest house situated on Mugula Road within the suburbs of Entebbe. 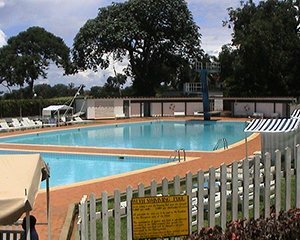 It is a 10 minute drive from Entebbe airport. 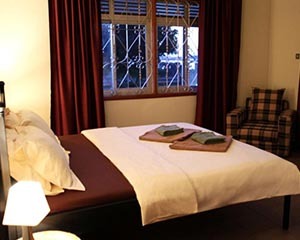 The rooms are within a large leafy garden area and consist of en suite facilities and either twin or double beds. Meals are provided and can be taken inside or outside, depending upon the weather conditions. This luxury hotel adjacent to Lake Victoria displays a clear view of the largest fresh water lake in Africa. It is perfumed by the sweet rosy smell from the surrounding white rose gardens and air conditioned by the cool lake breeze. Serena’s wide range of rooms and suites provide private views, glamorous decor, are spacious and offer a relaxing atmosphere. The hotel offers all the expected facilities of a modern resort hotel with a choice of cuisine, bars, craft shops, beauty therapy, sauna and steam bath facility as well as a large swimming pool. Carpe Diem is a new guest house situated on Plot 33 Uringi crescent area in serene Entebbe. From Entebbe airport, the drive takes about 10 minutes to get to its premises. It has four ensuite confirmable rooms with a breathtaking decor and each room is aerated by the cool breeze from Lake Victoria. These few rooms give chance to guest to have a personal touch from the attendants. The Guest house offers a Bed and Breakfast meal plan. At breakfast, coffee, smoothies, juice and snacks are served in the common dinning area. Protea Hotel Entebbe is a luxury hotel in Entebbe just about 1 km from Entebbe International Airport. This 73 roomed hotel lies close to the shores of Lake Victoria and its lake facing rooms are air conditioned by the cool breeze from the lake. Its rooms are spacious with a stunning décor and an inviting ambience. It offers a tempting a la carte menu served seven days of the week and several dining options including a formal dining area plus the outside terrace.